Celosia (AKA cockscombs) is a small genus of edible and ornamental plants in the amaranth family. The generic name is derived from the Ancient Greek word kḗleos, meaning "burning" and refers to the flame-like flower heads. The plants are well known in East Africa’s highlands and are used under their Swahili name, mfungu. The plant is an annual. Seed production in these species can be very high, 200–700 kg per hectare. One ounce of seed may contain up to 43,000 seeds. Depending upon the location and fertility of the soil, blossoms can last 8–10 weeks. Despite its African origin Celosia is also known as a foodstuff in Indonesia and India. Moreover, in the future it might become more widely eaten, especially in the hot and malnourished regions of the equatorial zone. 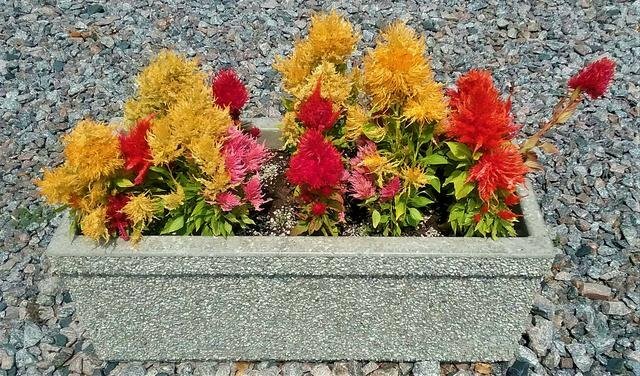 Celosia works well in humid areas and is the most-used leafy plant in Nigeria. It grows in the wet season and grows well while other plants succumb to mold and other diseases like mildew. Though a very simple plant, Celosia does need moderate soil moisture. Thanks for visiting, have an awesome day!! I had no idea you can eat these beautiful flowers. Have a lovely Friday @paradise-found. that feeling is indeed great in my point of view ! This is my first time to see this kind of plant. Have a lovely day papa bear. Indeed a colorful flowering plant @paradise-found and it is good to be put in any homes. Hello @paradise-found, the flowers are beautiful with lively colors, it's amazing how many seeds and how strong they are for reproduction in complicated places and also that can be consumed as food is excellent, so many areas with nutritional problems could improve your diet. Congratulations and blessings. Nice to know that you also love flowers. Thanks for the fun facts. I love their autumny colors & now I’m curious if I can add Celosia in our garden in Philippines since they easily grow in humid climate?